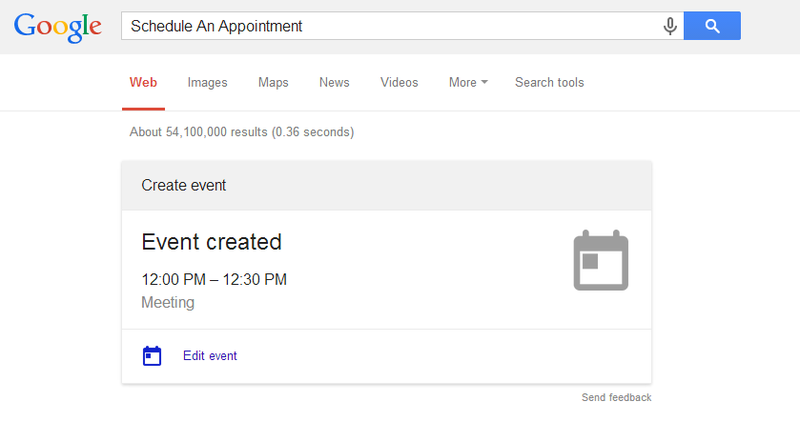 Now Use Google Calendar Within Search Results! Ever since the introduction of the Google Knowledge Graph, Google has wanted to keep you within the confines of its search results page (SERP). From concert schedules to on-the-spot language translation, this feature has come a long way towards providing users with a seamless 'Google' experience. Google has been playing around with inserting Gmail, Drive and calendar info into search results. Now though, it has taken the game to a new level by adding the ability to do specific actions directions with the Google Calendar in SERPs. The addition of the new calendar features to the Google Knowledge Graph is indeed a welcome one. 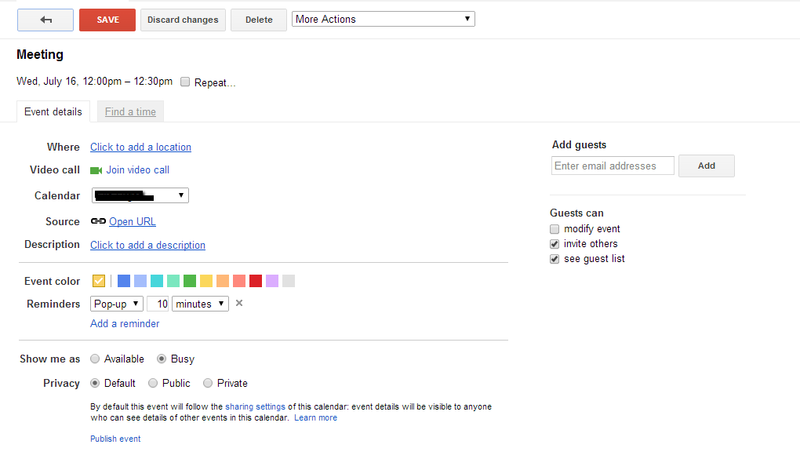 Previously, where you only were able to view events on your Google calendar, now you can create and edit them as well. Well, for starters, you need to be logged into your Google account to be able to use this feature. Type in "Schedule appointment" or "Add event" into the search bar, and Google will present to you a dynamic Knowledge Graph section that lets you automatically add an event to your Google Calendar. All this from directly on the search results page! You won't have to navigate to any other page to confirm your events! Here's what you get when you type in the said phrases. Clicking on the "Create event" link at the bottom will automatically add the event to your calendar without opening the calendar itself on another link. Once the event is added, you will see a confirmation right there, and the link will change to "Edit event". Clicking on this “Edit event” link will open your calendar in a new tab so that event details and times can be edited. Here's a nice GIF explaining the process. How do you like this new feature? Do you use Google Calendar? Do you see yourself using this feature often? Tell us what you think in the comments section below!